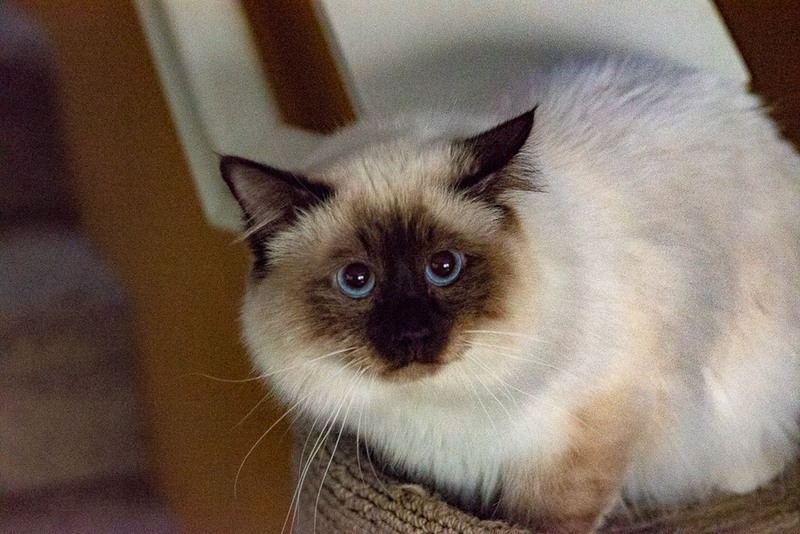 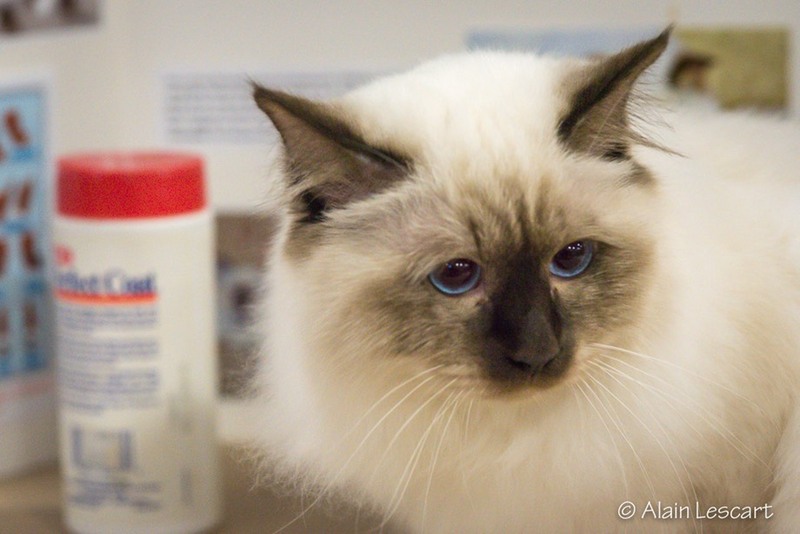 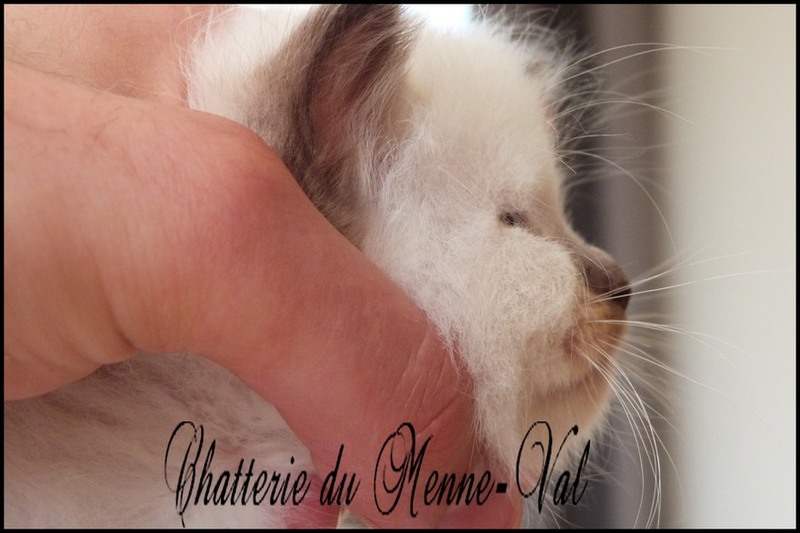 Nohlan du Menne-Val is a cute little chocolate-point male Birman born in France, in Normandy (la Trinité de Réville), in the Menne-Val cattery (thanks to Guillaume & Stuart). 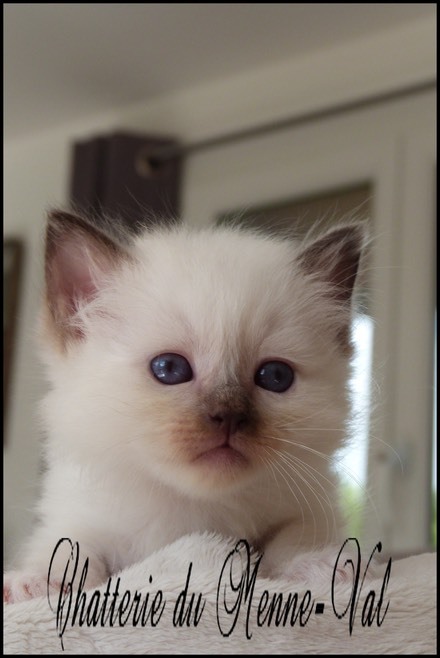 He was born on May 10th 2017. 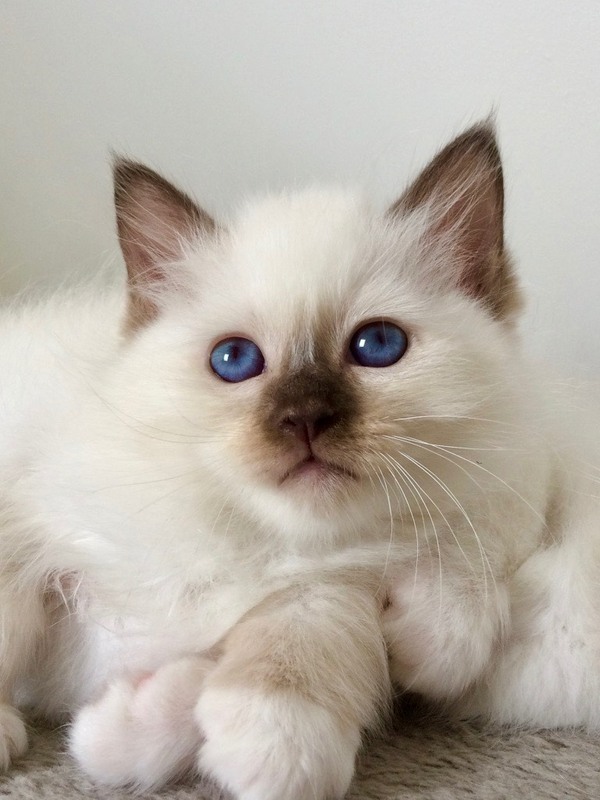 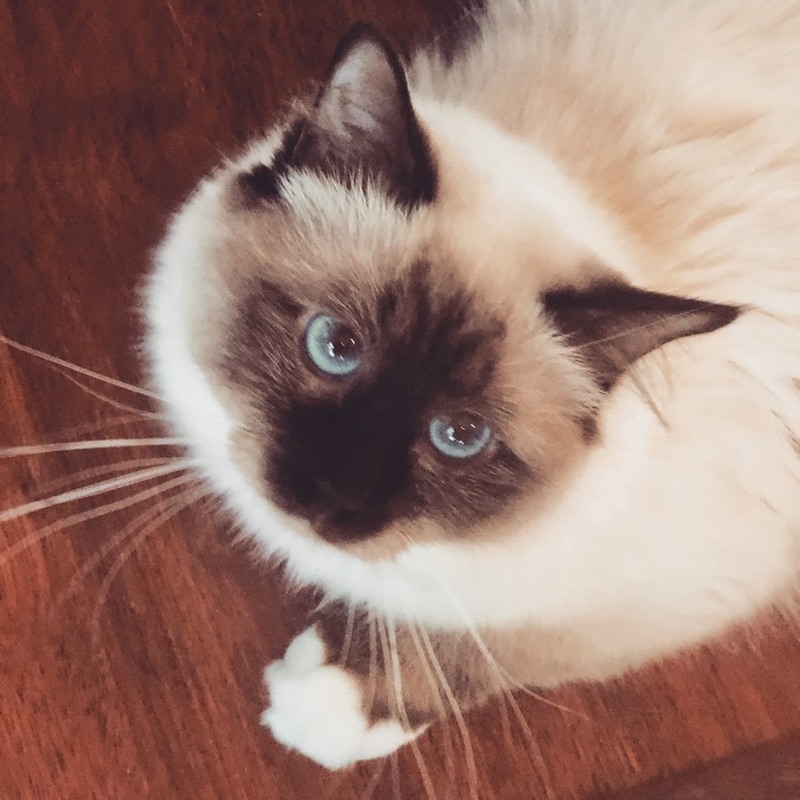 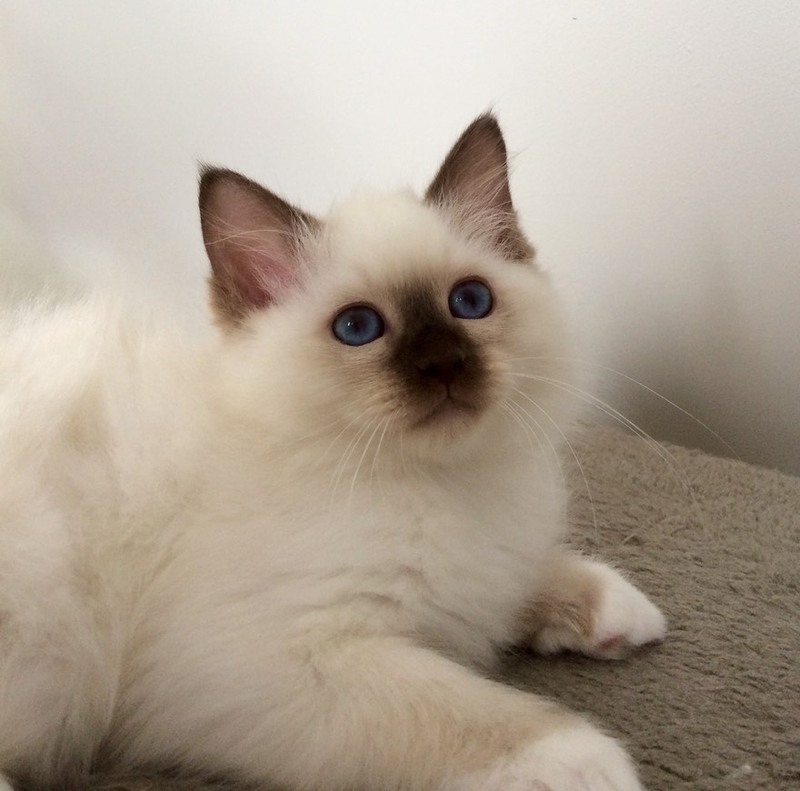 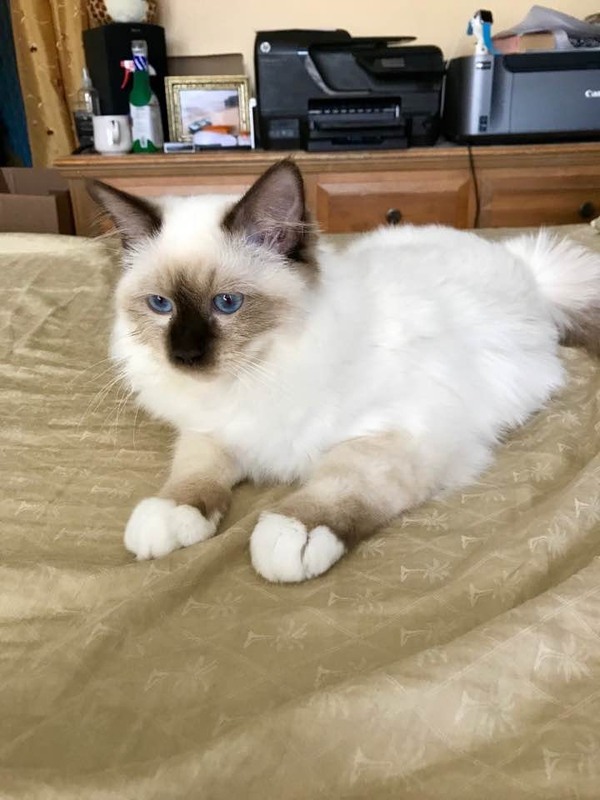 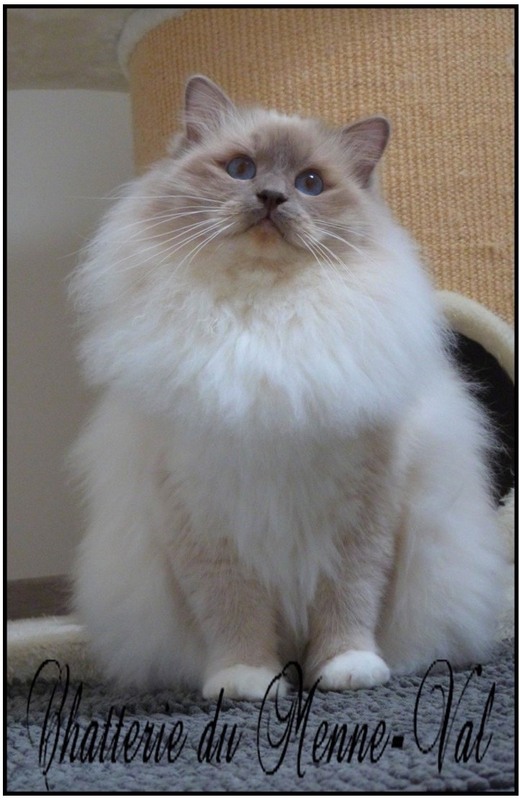 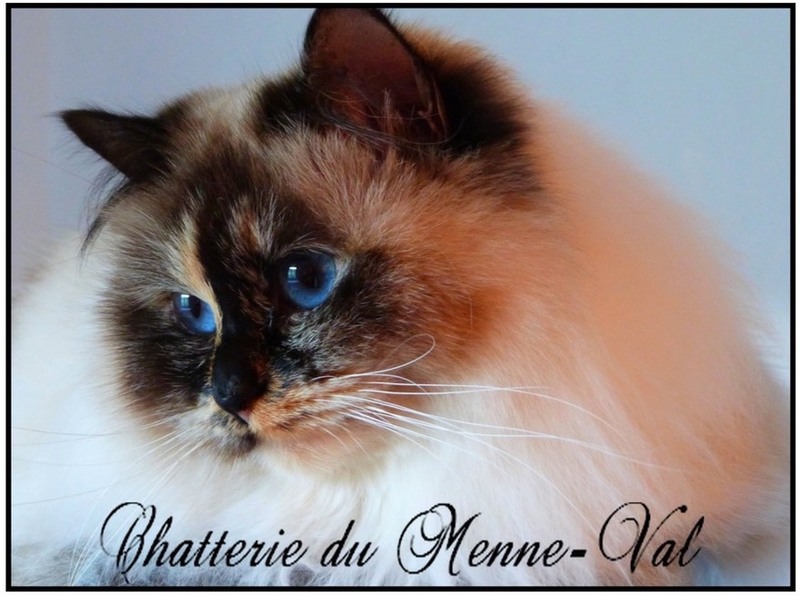 His mother is Quadruple Champion Hesitation du Menne-Val (seal-tortie point) and his father is Largo de Chatterley (Lilac-point). 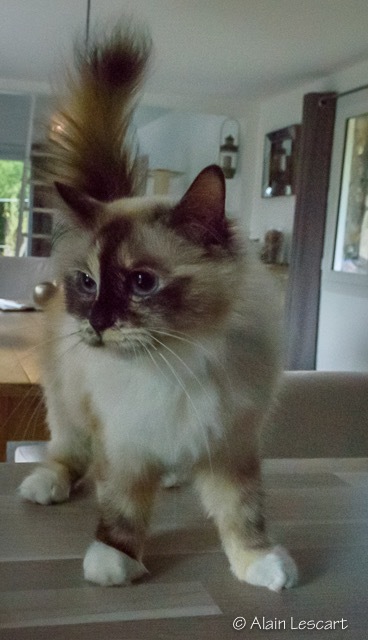 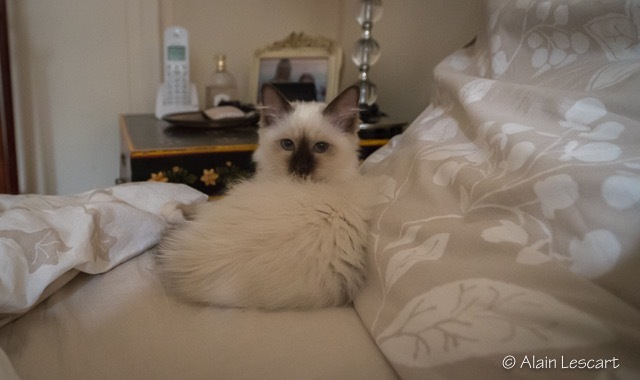 (Seal-tortie-point - August 15, 2012) in France.